This recipe can be found here. This was a simple meal to make. I wasn't sure how I was going to like it with pepper jack cheese, but it had the right amount of spice for me. This recipe could easily be changed to use turkey or chicken instead of the ham. You could even switch out different types of cheese. Place the squash cut side down in a microwave-safe dish. Cover and microwave on high for 10-12 minutes or until tender. Meanwhile, in a small bowl, combine the remaining ingredients. Turn the squash cut side up. 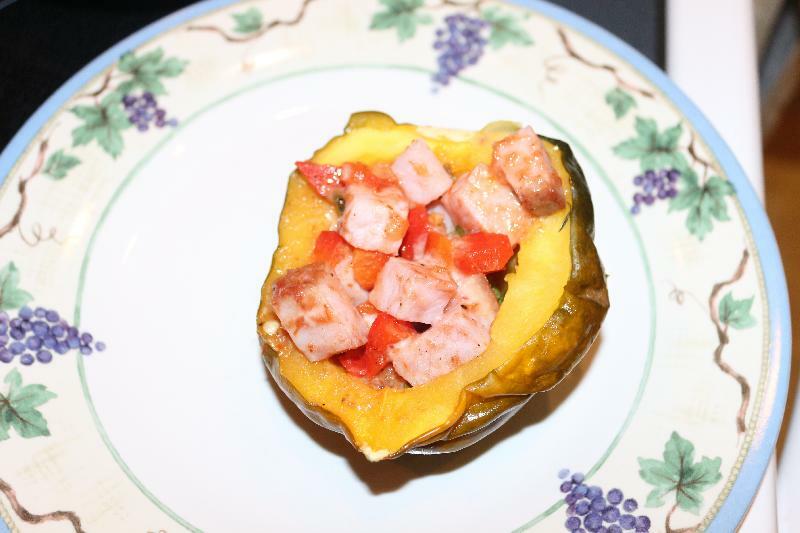 Stuff the acorn squash with the ham mixture. Cover and microwave on high for 2-3 minutes or until heated through.